Cable-free live TV. 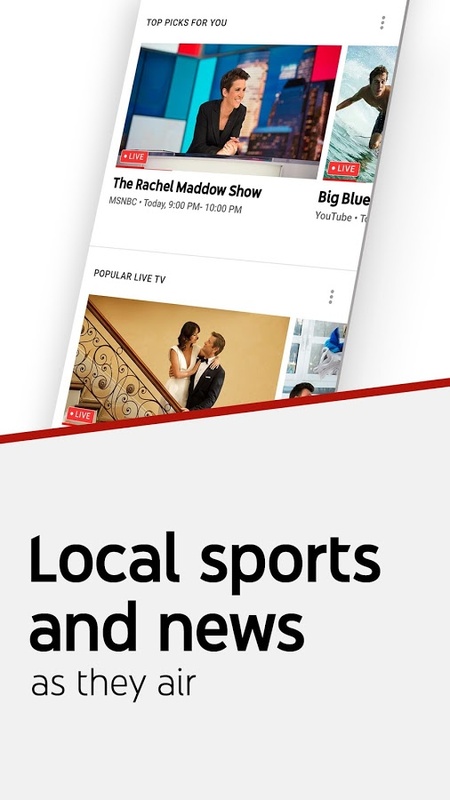 No cable box required.• Watch major broadcast and cable networks, including ABC, CBS, FOX, NBC, ESPN, AMC and more, including your local sports & news channels.• Watch on your smartphone, tablet, computer, smart TV, or game console, and on your big screen with G... see more Cable-free live TV. No cable box required. 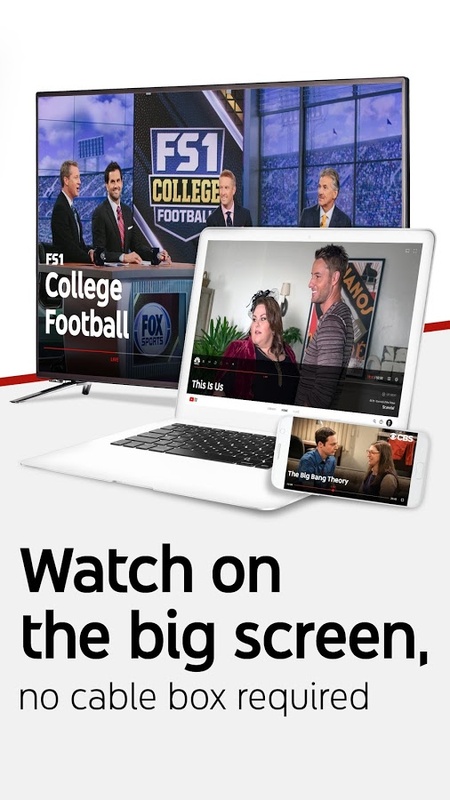 • Watch on your smartphone, tablet, computer, smart TV, or game console, and on your big screen with Google Chromecast or Apple Airplay. 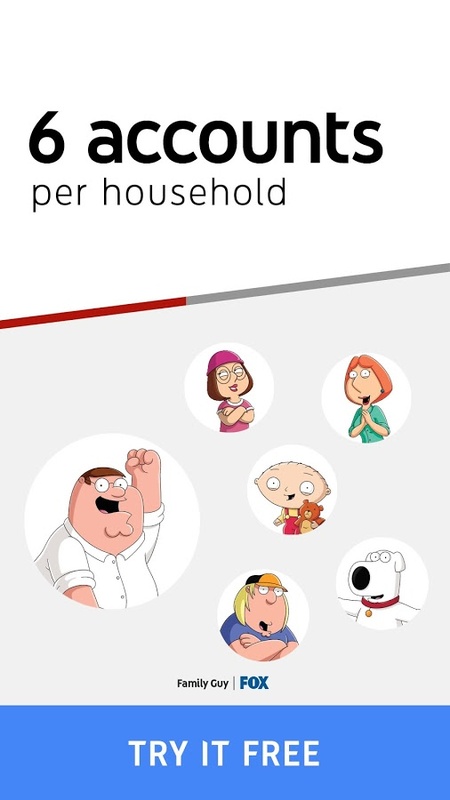 • Watch on-the-go with your smartphone, tablet, or computer. 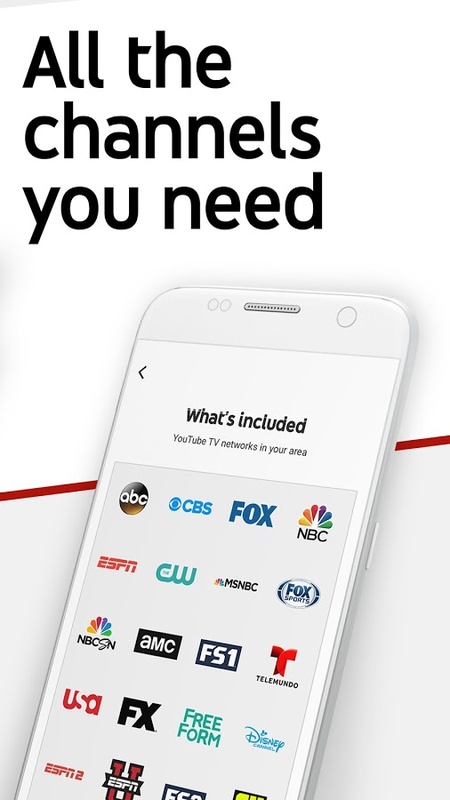 Sports and premium networks like SHOWTIME, Shudder, Sundance Now and Fox Soccer Plus are also available for an additional monthly charge. 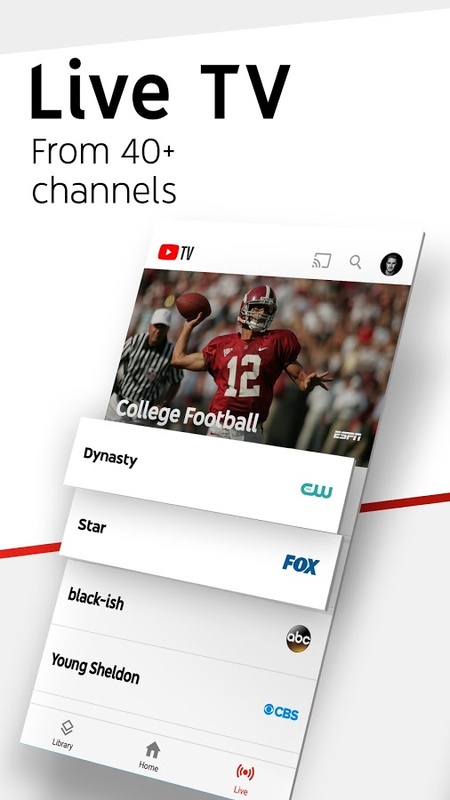 YouTube TV is now available in over 80 market area locations around the United States!